COSME Tech 2019 will be the first exhibition in SR Packaging's calendar this year. The beauty event provides SRP the opportunity to share its latest packaging creations with the industry. Find SRP at booth 22-26. 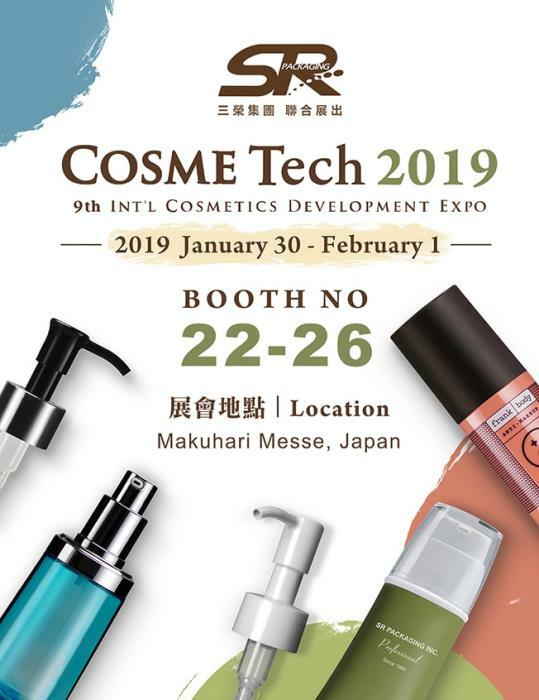 SR Packaging starts 2019 by attending Asia's beauty event in Japan, COSME Tech 2019. 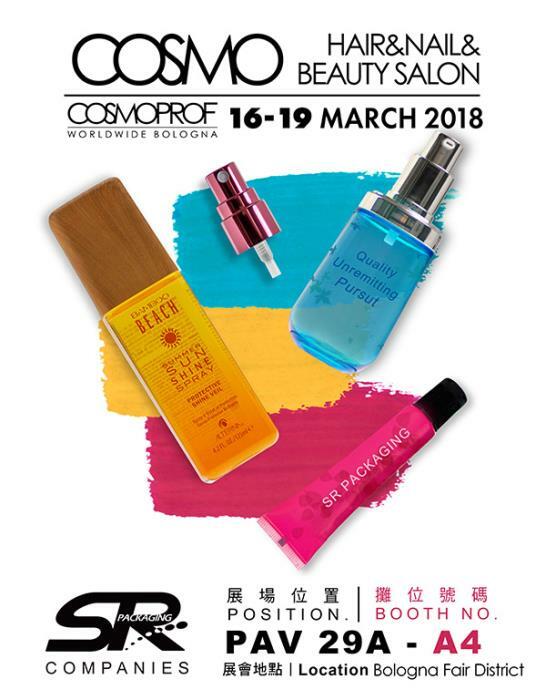 The event gathers all the key products and services for cosmetics development such as ingredients, contract manufacturing and private label, packaging, tools, accessories and more. SR Packaging launched its 2018-2019 catalog brochure in September. See the company's packaging trend forecasts and explore the realm of packaging decoration on offer by the beauty packaging manufacturer. 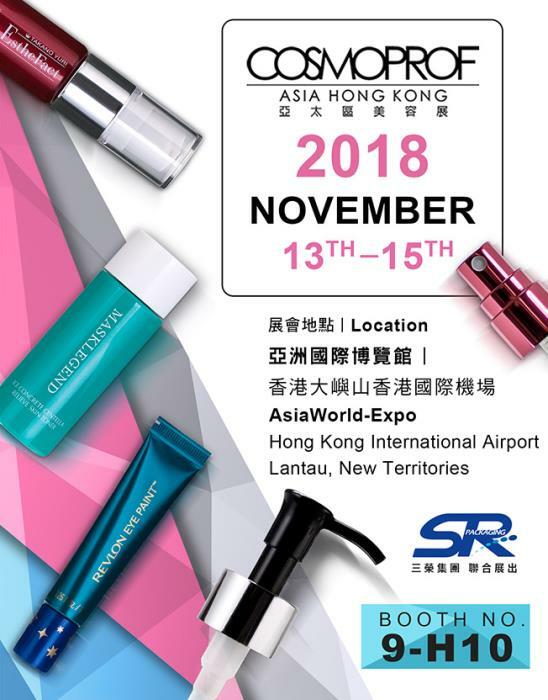 SR Packaging will be at Cosmoprof Hong Kong Booth 9-H10 from 13-15 November. 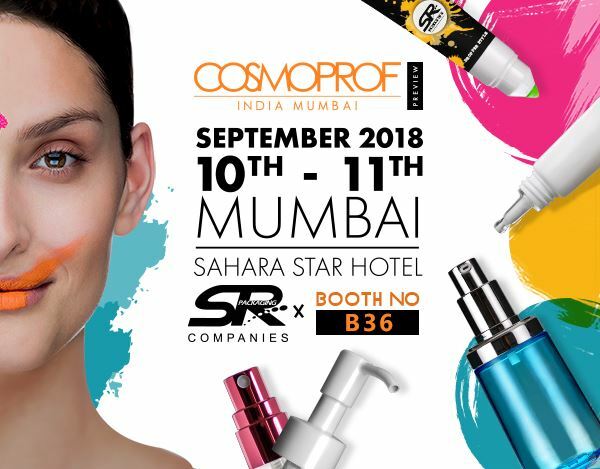 SR Packaging will be presenting its latest beauty packaging concepts and innovations at the inaugural Cosmoprof India event taking place at Mumbai's Sahara Star Hotel on September 10th and 11th. In celebration of Cosmoprof India's launch, visitors at Booth B36 will have the opportunity to see first-hand examples of emerging market trends. Visit Booth B36 and participate in the premier event! SR Packaging Group gathers its intellengent team from different locations to join the 23rd edition of China Beauty Expo that once again be held in Shanghai New International Expo Center, from 22 – 24 May 2018. 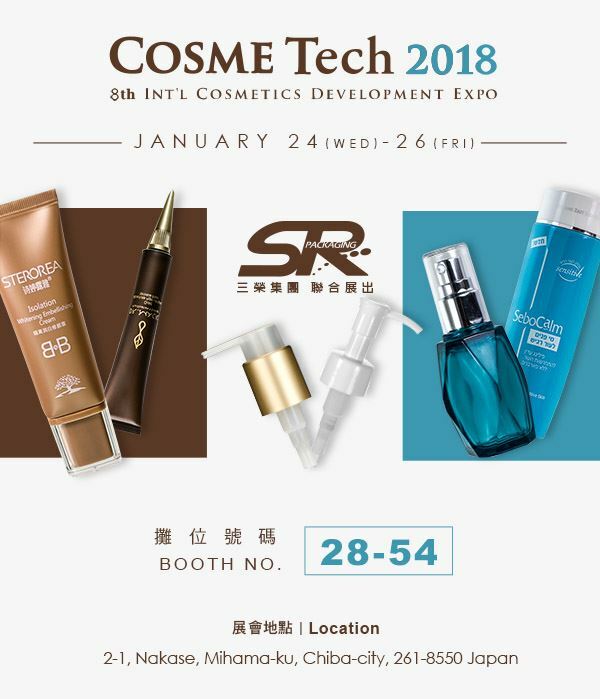 COSME Tech 2018 gathers all the key products/services for cosmetics development such as ingredients, contract manufacturing/private label, containers/packaging, tools/accessories and more. Please save the dates and make meeting reservation with SR Packaging's team. 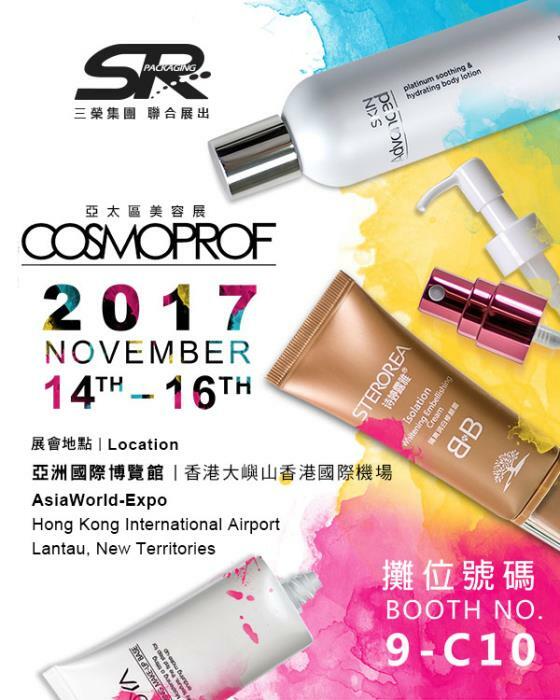 On 14th – 16th November 2017, SR Packaging will attend Cosmoprof Asia 2017, at AsiaWorldExpo, Hall 9, C10, to showcase its latest PET packaging design, cosmetic tube innovation, and artistic decoration developments. 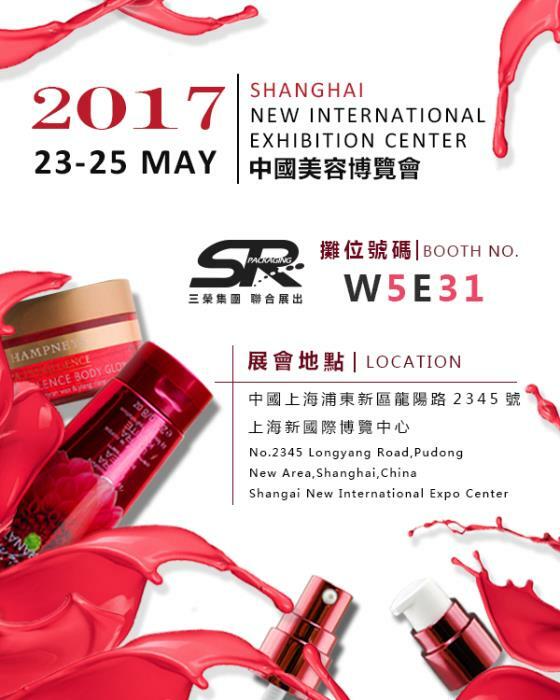 Participating at the event taking place from 23rd till 25th May 2017 at the Shanghai New International Exhibition Center, SR Packaging will be bringing its latest designs and sharing its new findings within the industry with visitors to the beauty show. SR Packaging's team from Shanghai, Dongguan, Guangdong, Japan, and Taiwan will all be at booth W5E31 for the duration of CBE Shanghai 2017. 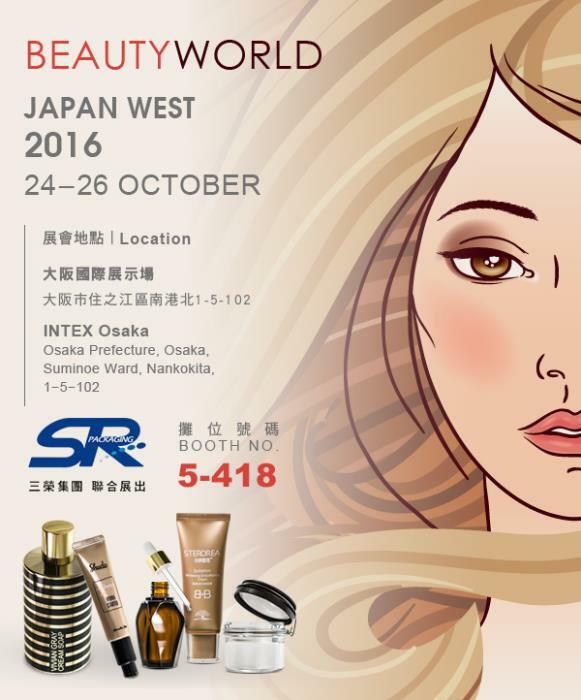 SR Packaging will be in attendance at this year's Beautyworld Japan West. If you'll be visiting, make sure to stop by booth 5-418 and take a look at all of our latest innovative products! SR Packaging has been professional manufacturer of injection, extrusion, and blow molded plastic components since 1989, and is an excellent provider of enhanced packaging solutions to the beauty and skin care markets. 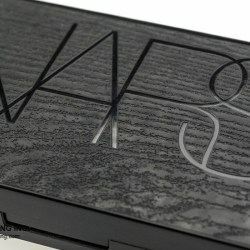 The company will present its latest packaging decoration technique, moulded texturing, to the visitors attending China Beauty Expo 2016 in Shanghai. Located at Hall W5, stand number E31, SR Packaging will prepare a complete selection of moulded texturing samples for visitors to see and to touch. Moulded texturing has been widely applied to many industrial and packaging solutions. 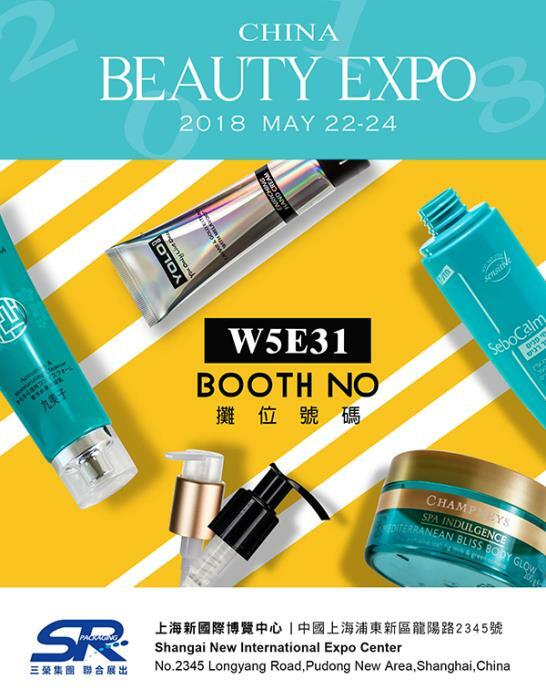 As a regional packaging leader in Asia, SR Packaging has now adopted this technique and has developed many successful projects for various cosmetic brands.